This blog develops ideas explored in one posted earlier in this series Community Capacity Building: an organic ecological approach, no hothousing. It speaks of connectedness, interdependence and soil. More to the point, what goes on in that soil. Soil is important for life on Earth. Because soil holds water and nutrients, it is an ideal place for plants to grow. Dr Suzanne Simard, Professor of Forest Ecology at the University of British Columbia, Vancouver, tells of the way trees communicate, negotiate space and actively support one another. She does so in a way that is utterly compelling. Simard says that “Through back and forth conversations they [trees] increase the resilience of the whole community.” We need to remember that “Forests are not competing with each other, they are super-cooperators.” I am particularly struck by Dr Simmard’s saying that “We have to give Mother Nature the tools she needs to use her intelligence to self-heal.” And so, you will not be surprised to hear that I have been thinking on how this revelation might inform the way we look at and operate as school communities. I share my thinking here. My interest was piqued by German forester and writer Peter Wohlleben’s The Hidden Life of Trees in which the author makes the case that the forest is a social network. I urge you to find the time to read the book itself. You will not be disappointed and, as it says on the back cover, ‘A walk in the woods will never be the same again.’ I also recommend listening to Trees: a wood wide web (Radio 4 Start the Week, with Andrew Marr, featuring Peter Wohlleben – broadcast Mon 10 Dec 2018). In Marr’s programme, Wohlleben explains that he deliberately sets out to offer a written guided tour, not encumbered by unnecessary technical terms, and yet based on hard science. Not a simple task, as we know, but he does it quite brilliantly. Trees, Wohlleben says, have memory, can taste, smell, hear and, get this, count! A tree has in its root tips something like a brain structure. They are able to communicate via aromatic gases (stress signals) and by an underground network using chemical interactions and electrical impulses. All totally fascinating (I say, mind blowing!) but it is the underground network idea that I want to pull out and expand on. Fungi were the first organisms to come to land, 1.3 billion years ago. What is more, when that asteroid hit, some 65 million years ago, the debris jettisoned into the atmosphere switched the lights out and fungi inherited the Earth. Fungi do not need light – they use radiation as a source of energy – so those organisms that paired with fungi were winners. The largest organism in the world, 2,200 acres in size (2.4 miles across), 2000 years old, is a mycelial mat, one cell wall thick. Armillaria ostoyae (AR-mill-air-ee-yuh ahst-oy-ee), aka, Oregon’s humongous fungus, grows in the Blue Mountains of northeastern Oregon. All fungi of the Armillaria genus display so-called “honey” mushrooms, which have yellow caps and sweet-tasting fruiting bodies. These only represent the visible sexual phase of the fungus’s life. It is what goes on underneath that is the big story. A story of the long, microscopic filaments called hyphae that connect these fruiting bodies, underground. A story we would do well to listen to and learn from because its fruit has stood the test of time; a long time. Mycologist Paul Stamets (Did I say, mycology is the study of fungi?) believes the invention of the computer internet is ‘an inevitable consequence of a previously proven biological model’. The Earth invented the computer internet for its own benefit, he says. This is where, for World Wide Web, we read Wood Wide Web, or ‘w.w.w.’ I know, but let us be fair and remember, Mother Nature got there first! Most plants live in symbiotic relationship with soil fungi. As said above, we tend to think of forest fungi as mushrooms above the ground but they only display themselves after sexual reproduction. The mother fungus is a mat of elongated cells spreading through the forest floor. The trees provide the fungi with sugar and the fungi help the tree to gather water and soil nutrients. Many plants and trees can be joined underground by cells of the same individual fungus. Suzanne Simard says that “a forest is much more than what you see.” Referring to the underground networks as a ‘world of infinite biological pathways’, Simard says that such communication networks allow the forest to behave as a single organism; “a sort of intelligence.” Trees share information underground and competitors become cooperators. Dr Simard’s work really took off 25 years ago when she carried out controlled experiments, in the forest, dodging grizzlies along the way. She was exploring an idea she held that there was two-way communication going on between different species of tree; in her experiment, Paper Birch and Douglas Fir trees. Simard’s conclusion: the two species were interdependent, “like yin and yang”. Solid evidence of a massive below ground communications network. The web is so dense that there can be hundreds of kilometres of mycelium under a single footstep. The mycelium connects different individuals in the forest, individuals not only of the same species but between species. Trees share information and offer one another sustenance in time of need. And so, what is going on in your school community soil? Is the mycelial mat that connects and sustains your community in good health? Is it functioning in a way that promotes community resilience, through back and forth conversations? Is it fit for purpose, serving as a community wide web that fosters super-cooperators? Are we offering our Mother Community the tools she needs to use her intelligence to thrive and, when necessary, self-heal? How do we weave our mycelial mats? Are we actively constructing our own community wide webs? Whichever metaphor we chose to represent the system in our school community context, we would do well to lend an ear to Mother Nature. We may think on lessons from mycology, we might take a leaf out of the Lakota cosmology and view community as they view mni. In the language of the Lakota cosmology, water is mni, an action of living. Emphasising commonality and connectedness rather than separation; an action of living. No tree is an island. No school is an island. No school community member is an island. We need that mycelial mat. Dr Simard had hoped that her discovery would lead to a change in the way forestry giants operate, from clear cutting and herbiciding to more holistic and sustainable methods. “What was I thinking! !” she says. Yes, we have all been there haven’t we?! Which takes us back full circle to ‘hothousing’ does it not, and that earlier BLOG (click on image below). Researching is a particular skill. Some of us took years to gain that skill. Asking teachers to be researchers? They are not. I want to put the emphasis on teachers as evaluators of their impact. Be skilled at that. Whereas the whole research side, leave that to the academics. I don’t care how you teach but I do care about your IMPACT! If I have heard John say that once, I have heard it one hundred times. There is a debate raging on Teesside at the moment. Football supporters are the same everywhere. Take a look at the top half of the Championship Table as it stands today, as I write this. Tony Pulis is having IMPACT, John. Yes, I know we are only 13 games in but this particular league table is pleasing to my eye. However, to some Teessiders, the football we are playing is not pleasing to the eye, and they are grumbling. Our most successful managers over the past few decades had us playing the game in significantly varying styles. Some big names, indeed. Get this… Jack Charlton, Bruce Rioch, Bryan Robson, Steve Umbrella McClaren, Gareth Southgate, Aitor Karanka… Very different in profile, personality and favoured style. All had IMPACT. A tenuous link to my key motivation for writing this blog but I have spent so many happy afternoons watching the Boro with coach loads of children from school, along with parents. Treasured times! We did not always win but we made lots of noise, ate dodgy pies, and I enjoyed a beer at half-time with mums and dads alike. It was occasions such as those and the long walks we used to take on the North York Moors (always ending at a pub) where relationships were built, through personal stories told and listened to. Those of you familiar with the content of my blogs will know that I have an interest in how schools might place themselves within and alongside their communities. 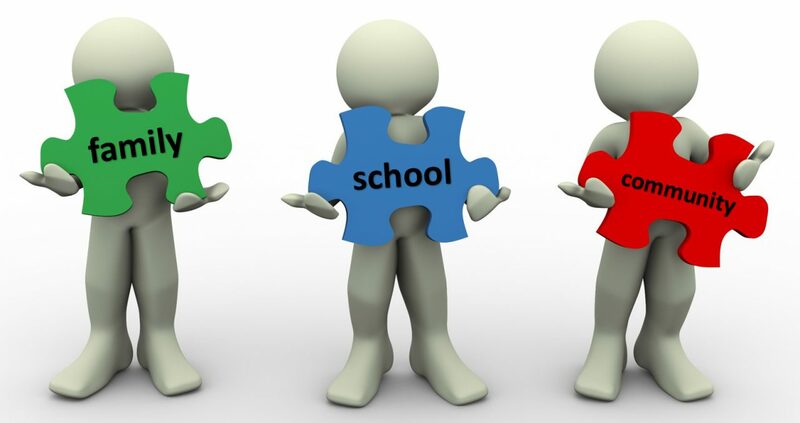 How do we work with those unique families that choose each one of our unique schools, in a unique way, that absolutely has IMPACT on the personal, emotional and academic life of each one of our unique young ones? I do wonder, then, just how Professor Hattie might respond to the suggestion I am going to put forward. My proposal is not so much that we be researchers in the field of family engagement (I am, John, but you know that, and I have taken a particular route and I recognise I have a long way to go) but that we might behave as researchers do; walk like them. I qualify this by saying we might behave as one particular heavyweight of socially critical research, Professor John Smyth, does. I will elaborate. to be an activist in working with schools, teachers, students and communities in producing ‘local responses’ to globally generated issues – which means opening up a space in which people who have been marginalised can speak back in the struggle for more just policies. So, Professor John Hattie, I am calling you out on this one (Yikes! How dare I?!) but I am hoping you will see my point, if you ever read this. Ayresome Park and, now, The Riverside Stadium offers the space for the Boro Family to speak back. Jack Charlton, Bruce Rioch, Bryan Robson, Steve Umbrella McClaren, Gareth Southgate and Aitor Karanka knew that. As does Tony Pulis, regardless of impact. The question is, How do we create space for our families and community members to speak back? How well do we actively listen, aware of and accounting for the way power plays out in family-school relationships? How well do we take on the role of activist, encouraging activism as we work with our communities to seek ‘local solutions’. One of the most fascinating things that I am finding in my work with schools across the U.K., in a community capacity building coaching capacity, is that what might appear to be deeply personal, private issues are often, in fact, shared public concerns. When schools and families get to work on those issues, the magic happens; relational power grows, relational trust multiplies, and outrageous possibilities come into view. We can do this by walking alongside our families and communities, as socially critical activists, viewing parents/carers as informants. By the way 2, The Boro’s Chairman and owner, Mr Steve Gibson, regularly gets ‘up close’ (another of John Smyth’s anchor points) attending fans forums and being attuned to his community members, seeking out their voice. Name me one other football club chairman or owner who has his name chanted, regularly, every game, no exception. Teesside folk know when they are being listened to. Walk like an Egyptian? Nothing more than the fact that I am one of those people who start to say/write a particular line and I hear a song from the archives… Probably politically incorrect but great tune! Today, Father’s Day, walking in a local park with my daughter. A little boy stood before us, looking into one of the animal enclosures, having spotted a rabbit. One of those rabbits with extra large ears. He wanted his mother to share the experience with him. Mother’s response left him crestfallen. To be fair, mother was pushing a pram and had another little charge at the end of her arm. Monday, beginning of this week gone. I took Highway 250 in West Virginia into the Allegheny Mountains. The car radio fades to static. Glancing illegally at my mobile phone I noted the signal had disappeared. I was in the National Radio Quiet Zone – 13,000 square miles of radio silence, just a few hundred miles from Washington DC. No Wi-Fi; no mobile phones; no radio signals. I was not actually on Highway 250, I was driving, with full radio signal, absolutely not glancing illegally at my mobile phone, catching episode one of The Quiet Zone. Fascinated by it, I decided that I would listen to the whole series (five x 12 minute episodes) on iPlayer, come the end of the week. I did so, yesterday. Pochahontas County is home to the Robert C Byrd Telescope at the National Radio Astronomy facility, Green Bank, West Virginia. The telescope is the largest fully steerable telescope in the world. It took six months to erect the crane that was used to place the telescope on site back in 1958. The Green Bank Telescope gathers radio waves from deepest space. It can detect radio waves emitted milliseconds after the Big Bang. Taller than the Statue of Liberty, the Green Bank Telescope is the world’s largest moving land object. It has the sensitivity equivalent to a billionth of a billionth of a millionth of a watt… the energy given off by a single snowflake hitting the ground. Anything man-made would overwhelm that signal. Hence the legal requirement, for a radio frequency free zone. Essentially, here, “on the edge of society”, affording the ability to listen in to moments after the creation of the universe, means the local population have sacrificed their connection to the outside world. Well, not exactly… there is broadband internet facility in the homes of residents, they just cannot take it with them, when on the move. But, get this… we are told by residents interviewed through the course of the program that if you go to watch your child take part in, for example, a soccer (football) game, every parent is watching the game, and interacting with one another. That is, they do not have their heads down, consulting their mobile device, fearful of missing something or someone not present. What delicious irony… as the Green Bank Telescope, towering above the soccer field, works on connecting us back to the beginning of time, we cannot connect, in the moment, to those other than those present in time and space. The event in the park this morning, along with thinking triggered by listening to The Quiet Zone prompted me to return to the transcript of an interview / conversation I enjoyed with the relational theorist Dr Scott Eacott, last weekend. Scott suggests that school communities (in the broadest sense of the term) are a coherent whole and that every school has its own trajectory. That trajectory shapes the way in which we engage with spatio-temporal conditions. The ways we engage actually generate those conditions. While saying that every school is unique we rarely put into action attempts to see what different groups want and expect out of schooling. The challenge is that there needs to be a way to recognize and acknowledge the many different perspectives that may come forward and doing the work (collectively) that translates it into some form of concrete outcomes. To achieve this, Scott says, we need to take the time to tease out what the community at XYZ look like. What are their distinctive features. All activities should contribute to this work. Our conversation greatly challenged my thinking. Scott did, for example, problematise my partitioning of ‘schools’, ‘families’, and ‘community’, suggesting this was based on an orthodox social systems configuration of the social world. The implications there for my work? I really do not know either, yet! Scott directed me to take a look at Cecil Miskel’s work on organisational behaviour. Another road I must travel down. It is not my intention here to expand on Scott’s thinking. I will, though, say that he was greatly encouraging of the approach I am developing, and our conversation continues. Scott’s advocacy of a relational approach sits with the intention to disrupt the orthodoxy he talks about. What Scott did impress upon me is that the act of engaging in reflection is shaping how we understand and in turn shaping what is happening. This relationship is ongoing. My mission is to understand how a relational approach to family-school-community partnership be best applied to achieve concrete and desirable outcomes for all. For the process itself to be educative, and for the outcomes to be of educational benefit to students. Now, I am not suggesting that we create ‘Radio Quiet Zones’ around our school communities. I am suggesting we give thought to those interfering factors that impact relationships in our school communities. I am saying that if we are still offering a snatched ten minutes at the park for parents every term then the child will miss the rabbit. ‘Community engagement’, ‘parental engagement’, ‘parental involvement’, ‘community cohesion’, is a far far bigger, deeper, and extravagantly more important issue. If we are to challenge the questionable orthodoxy that Scott Eacott, for one, takes issue with, then perhaps we might do well to work on instilling a quietness that frees us up to hear such detail that is normally masked by modern school life. Moving towards the place articulated by the inn-keeper in Pocahontas County, “It’s quite rooting, it roots you back into the earth”. For us, placing our schools with and within our communities. For me, this begins with Community Conversations. I work with schools across the UK in making this happen. I consider my practice to be one of coaching in nature, for I seek to empower all community members as we take the journey together, recognising the uniqueness of each and every school community; appreciating time and space. It does not take six months to erect the framework, as it did the crane that placed the Green Bank Telescope. But the parallels between the two sounding boards are striking. Noise is collected in a deeply comprehensive way, in an interference free, safe environment. Every single falling snowflake counts and is recognised. Everybody is watching the game. The diet is home-made. I welcome a no commitment first conversation with anyone interested in discussing how this works; face-to-face (wherever you are located) or by phone / Skype. I share more on my work here.